In a pub by a river on a very sunny day…..
Why did you choose the The Inn at Whitewell for your wedding reception? We had never been to the Inn before but as soon as we walked in we were taken by its charm and it’s stunning setting. The staff could not be more welcoming and helpful and we knew that this was the place for us instantly. Stuart proposed on an amazing holiday in Cuba, on the beach, at sunset!! Who knew he had it in him! I know its hard but do you have a favourite memory from the whole wedding experience? 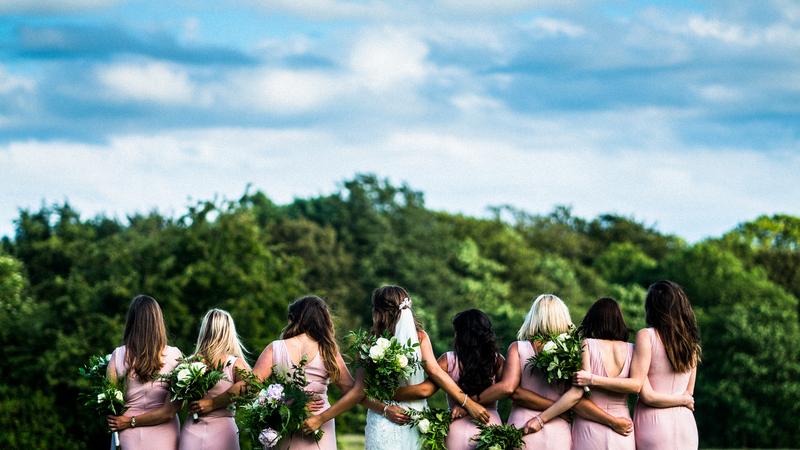 Our favourite bit of the wedding is a bit cliché but sharing it with all our friends and family; when else do you get everybody that is special to you under one roof! What advice would you give any Bride & Groom who is looking to plan their wedding? My advice is to be organised and book things well in advance to avoid disappointment! But also to trust the experts; they have done it all a million times before! Ensure to book people who make you feel good, who you can work alongside but also that can work alongside each other. Build a team around you that you love! A #sneakpeek from the #wedding of Katy & Stuart at @weddingsinnatwhitewell @inn_at_whitewell with @davidscholesphoto.